Accountability, Visibility, & Single Point of Entry. LABOR SCHEDULING JUST GOT EASIER. drives our Labor & Scheduling platform. Decision Logic is taking a new approach to managing your rising labor costs. Employee Central encompasses the new hire process in a centralized information center, synchronizing data across payroll sources, and feeding information to all systems, from POS to payroll. Eliminate the need for duplicate entries of sensitive information and increase your accuracy. 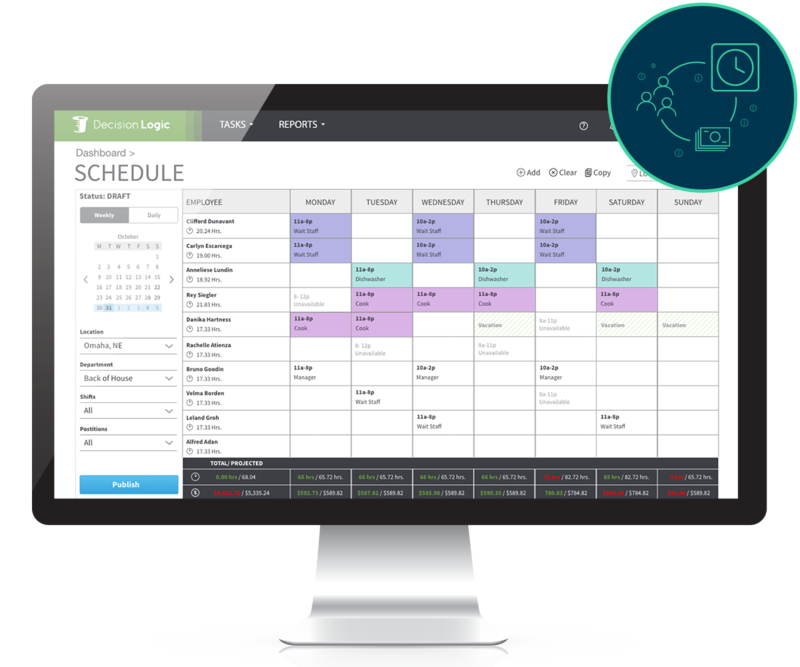 Employee Central allows for an “all hands on deck” approach to scheduling. Trusted by some of the most notable brands in the industry. Over 1,000 restaurants across the country use Decision Logic for their back office. Copy and paste from an existing schedule or start from scratch. Cut labor costs by comparing scheduled vs. actual (SvA) labor reports. Maximize labor productivity with predictive forecasting. New reporting for better insights. Decision Logic's reporting function also provides robust employee performance, scorecard, and fraud prevention reporting, keeping top-of-the-line sales in your bottom line dollars. 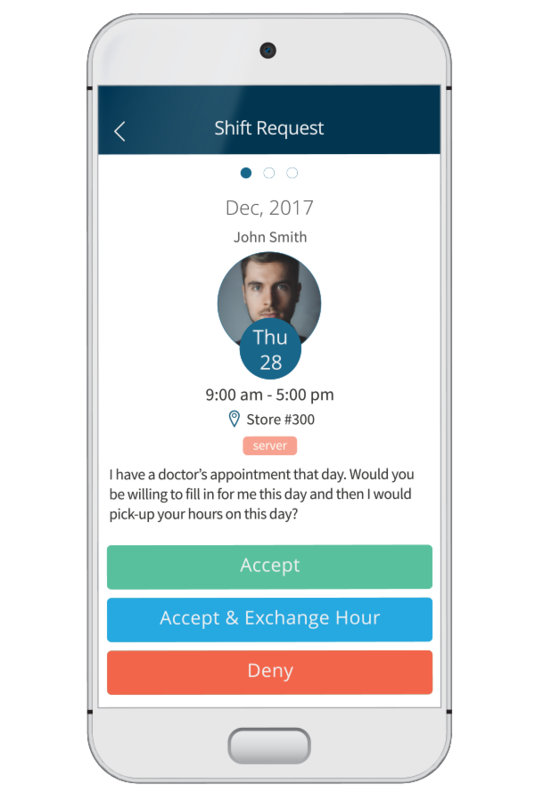 Decision Logic’s Labor and Scheduling system eliminates the need for duplicate entry of sensitive information, increases accuracy, and formalizes accountability. Utilize our Scheduled vs. Actual reporting to maximize labor productivity. 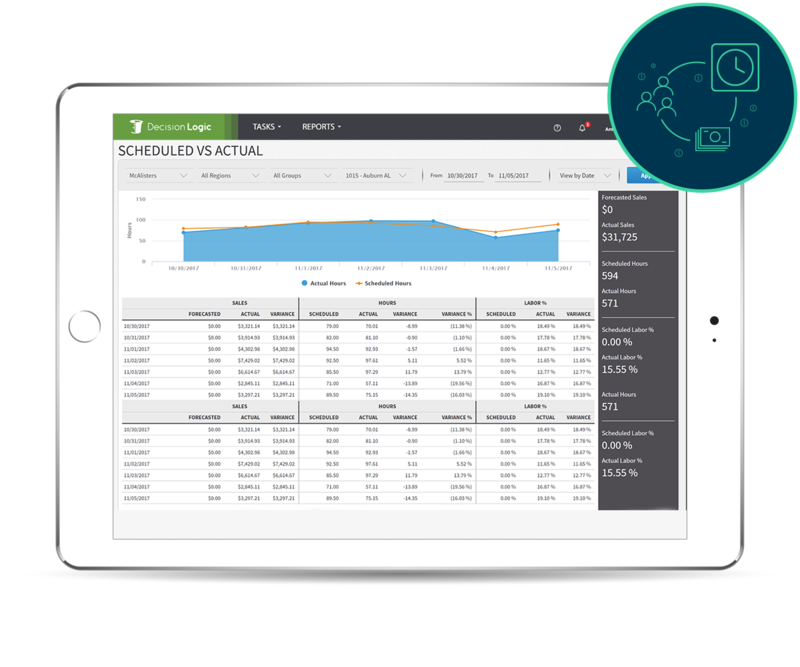 Using that information, we configure our restaurant management software’s platform so it simplifies workflow and maximizes payroll resources.